Before lovely boxes came or plastic storage was invented, people use baskets. Yes, baskets had been here for a very long time and up to now, we still use it. 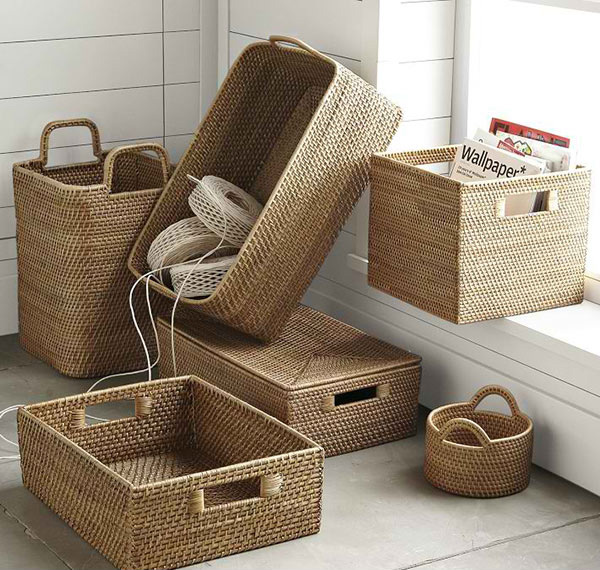 Baskets as we all know are made from organic materials although there are also plastic baskets or even ceramic ones. But it would still be nice to use the usual basket woven by hand. Because people became more creative these days, even baskets look beautiful too. Before, they just make baskets for mere storage purposes but today, it isn’t just for storing stuffs for also for decorations. 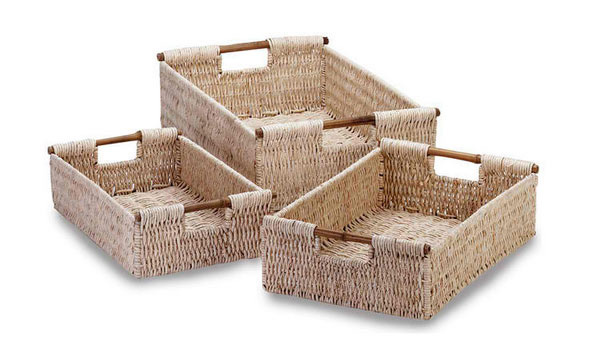 We have collected different designs of baskets which also have variety of sizes and usage too. These can be perfect for the laundry, playroom or pool and other areas in the house. You’ll be pleased to see how pretty baskets turned out to be! 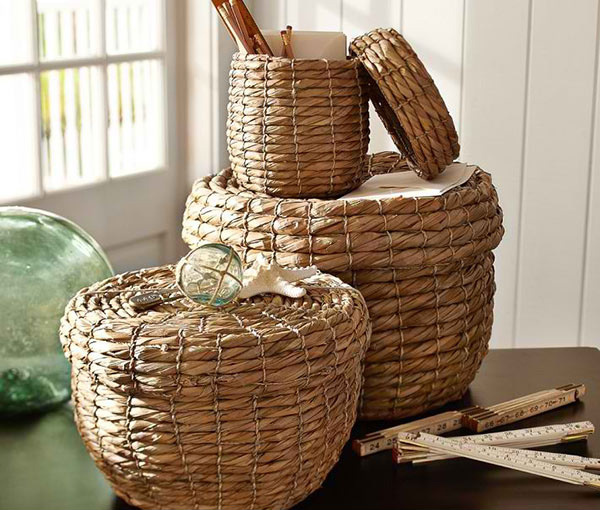 These decorative baskets are also handy storage containers that are made from recycled plastic. 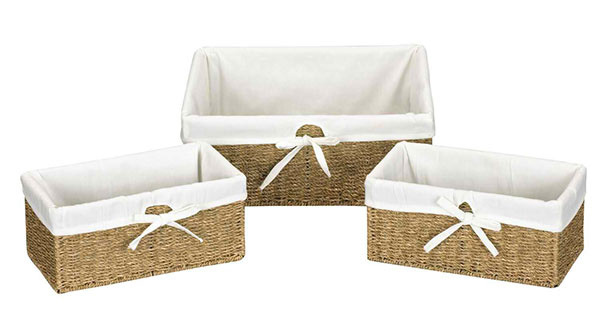 You could surely organize in style with this beautiful set of three nesting storage baskets covered with floral upholstery and topped with natural woven material. 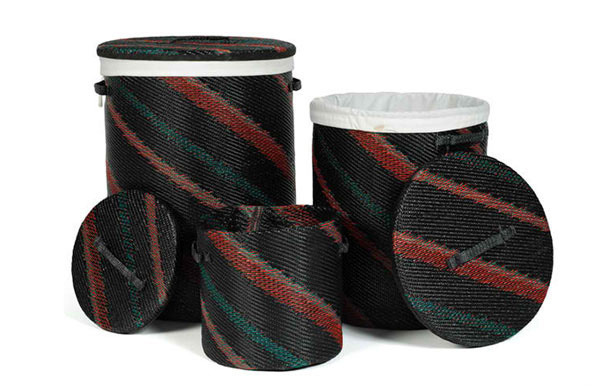 Getting this set of hampers with bold colors and patterns will not just add a cultural appeal to your home but it can also help the Turkana people of East Africa who hand weave them. Handmade in a chunky open weave, these could be good to store small stuffs like craft materials and others. 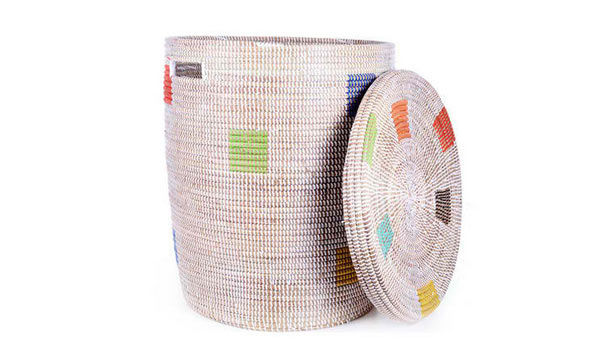 Aside from being a hamper, this African basket can also be standing as a design piece. 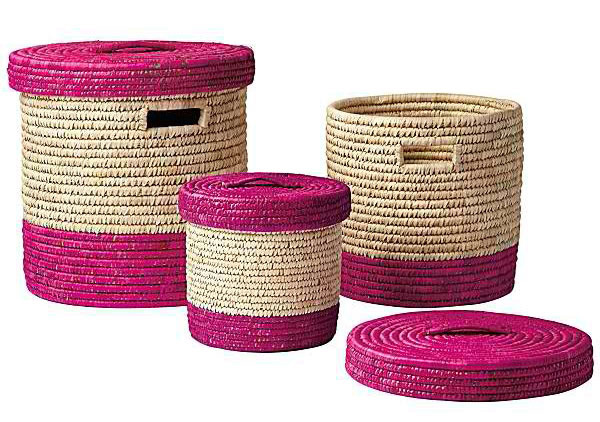 Another beautiful African hamper that is irresistible for home decor and storage. Its yellow pattern is very pretty! 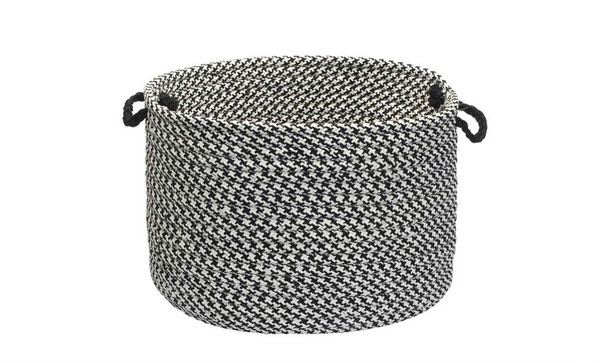 If black and white is your fave combination, then this basket is seemingly made for you! This set will bring in a homey and earthy beauty to your interior while it carries your fave stuff. 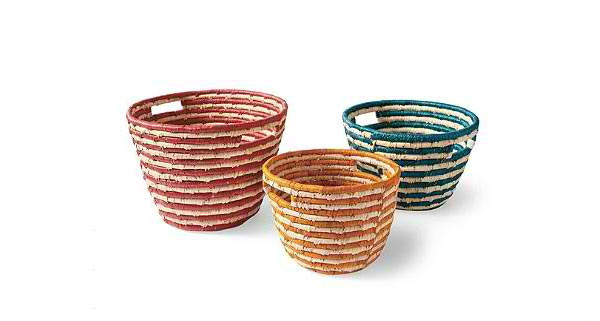 Who would not love this set of colorful baskets? 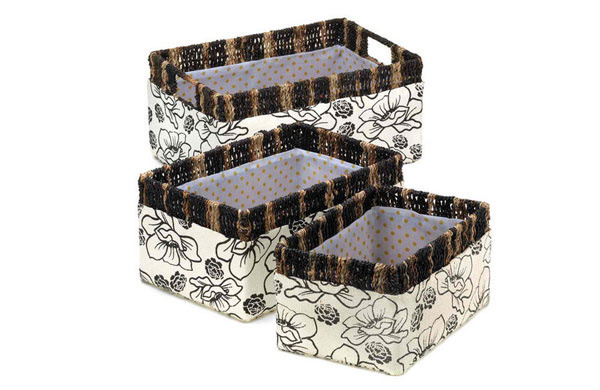 These are sturdy enough to organize and carry all sorts of things you want to place in it. 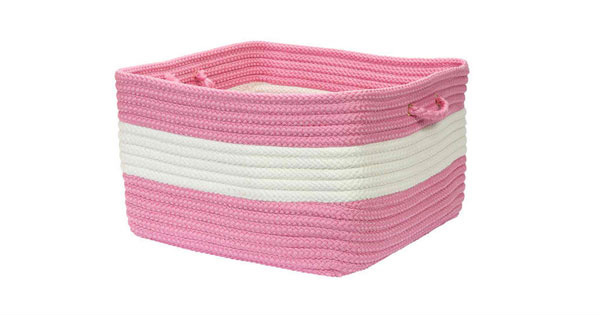 These baskets could be nice for the kitchen like in storing bread and other foodie because it is lined with fabric. 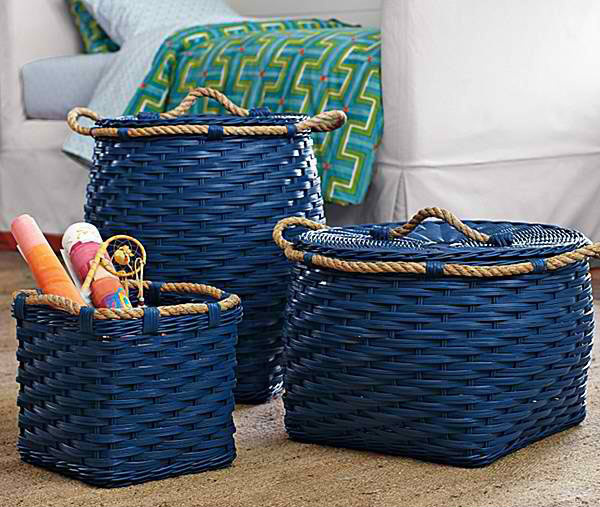 These navy blue baskets are woven by hand of squared-off rattan with a thick jute rope wrapped around the top. 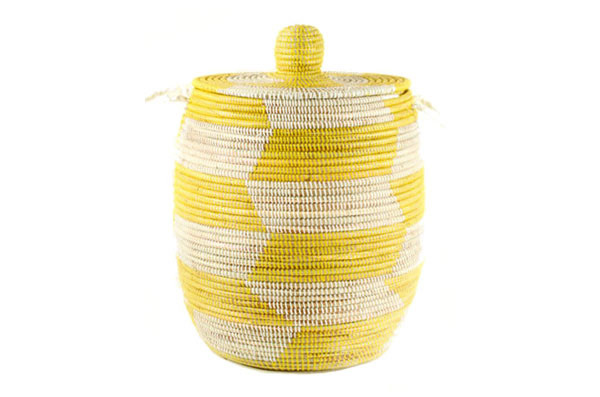 A bold basket perfect for a closet that could add a pop of color to the space. Aside from it varying sizes, these sure are nice accents for the home. It can be durable storage for magazines, media and more. 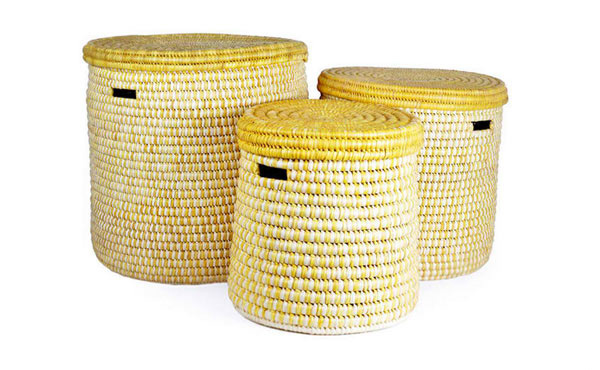 Chunky seagrass coils are wrapped by hand in dyed palm leaves to create this bold set of baskets. 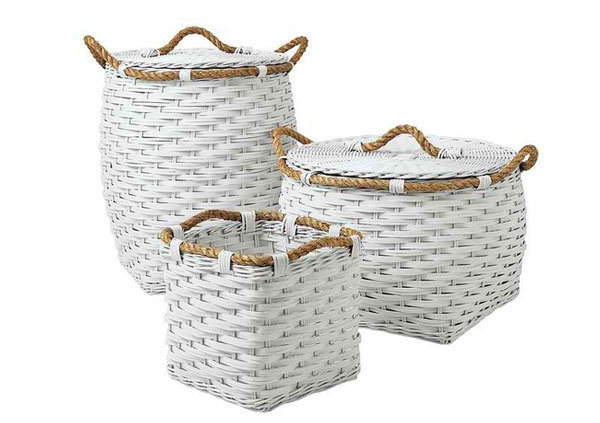 White baskets with a rope that served as handle- these sure are cute! The baskets shown above are indeed nice! For sure, you realized that your interior wouldn’t look old timey or unclean with baskets in them. As a matter of fact, it would actually look even prettier because of the natural look it gives. And yes, these baskets can also look great for a modern space wherever it is in the house from the kitchen to the laundry area!